I eat salad like it's my job. Who doesn't love all those plants, veggies, and wholesome goodness in one bowl? I change up the ingredients often to keep my salad game on point, and that is why I am never bored with eating all those greens. 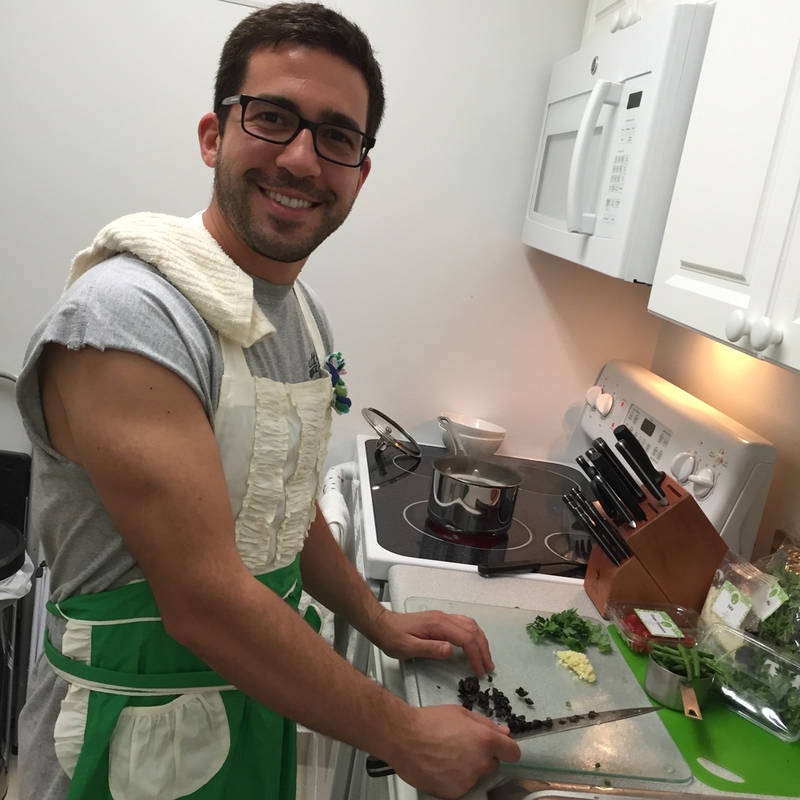 So when Hello Fresh sent me three veg-alicious meals to create last week, I was pleased to discover one of them fed my addiction to earth food. So I grabbed my apron, recruited my husband, and got to work on this delightful recipe. See the instructions below and be sure to check out the photo gallery for step by step shots of how we pulled it off. (I say that because most know I am no cook). 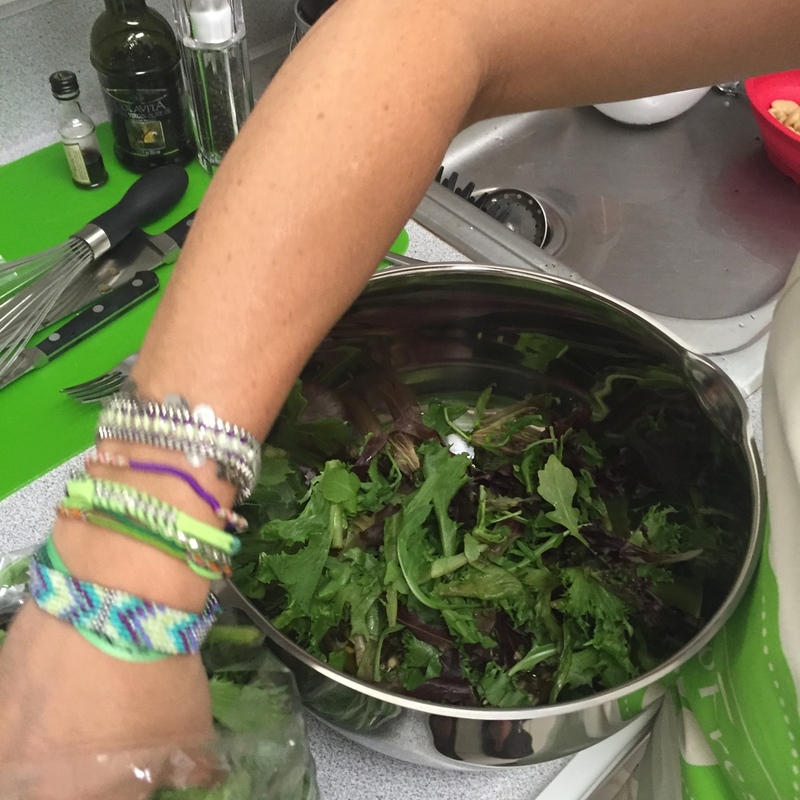 I hope you enjoy this summer salad as much as I did! 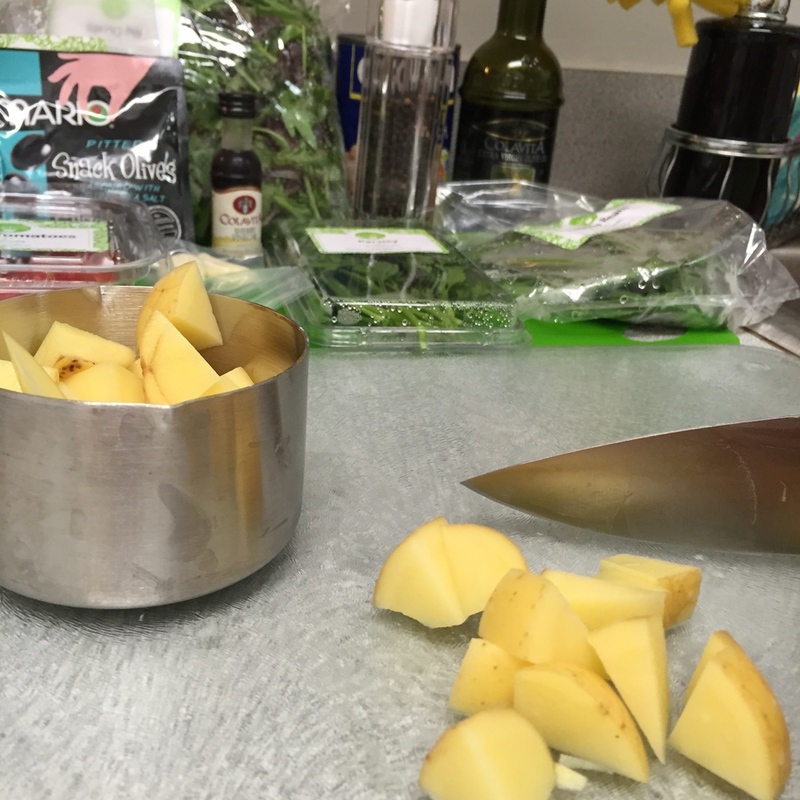 Cut the potatoes into 1⁄2-inch cubes. Bring a medium pot of water, the potatoes, and a large pinch of salt to a boil. Cook for 10-12 minutes, until fork-tender. 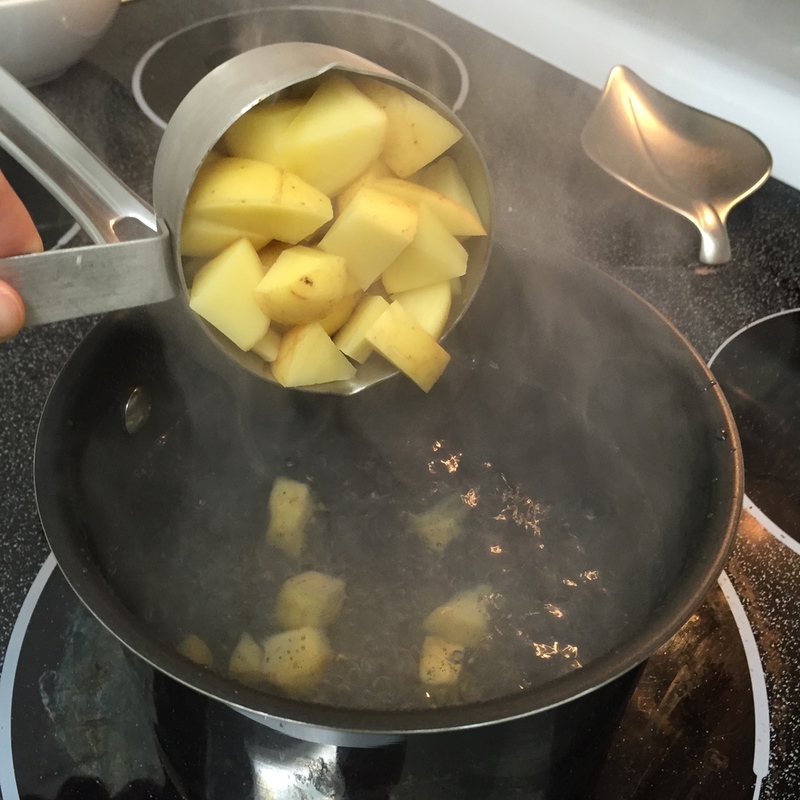 Remove the potatoes from the water with a slotted spoon and set aside. Keep the water boiling on the stove for later. Meanwhile, trim and halve the green beans. Mince the olives. Pick the parsley leaves and discard the stems. Drain and rinse the butter beans. Halve the grape tomatoes. Mince or grate the garlic. 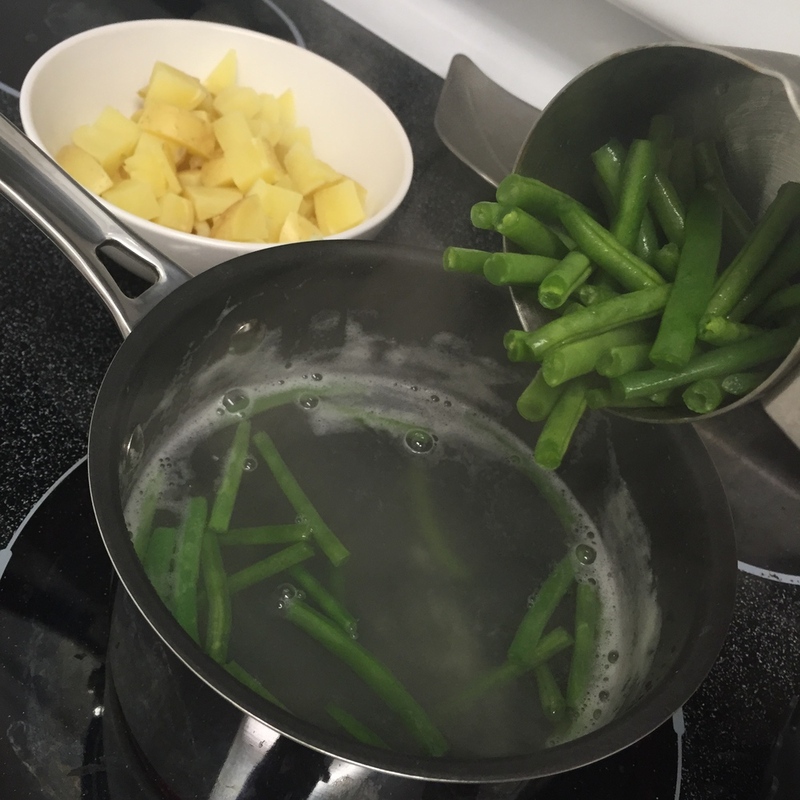 Add the green beans to the boiling water and cook for about 3 minutes, until crisp-tender. Remove with a slotted spoon and rinse under very cold water to cool. 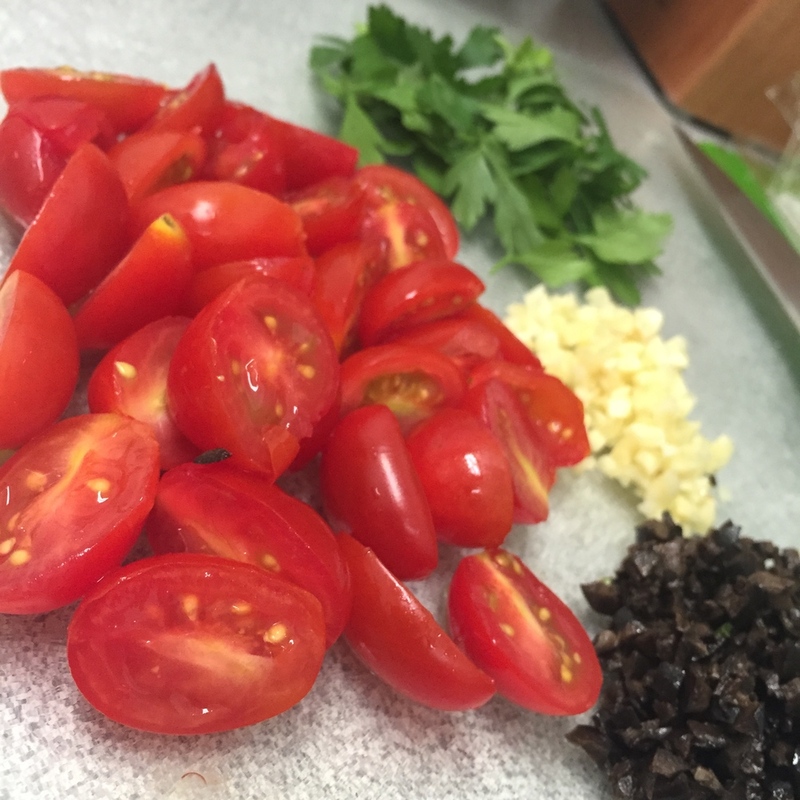 Make the black-olive sherry vinaigrette: in a large bowl, combine the minced olives, 2 tablespoons sherry vinegar, 3 tablespoons olive oil, and as much minced garlic as you like. Whisk to combine and season 5with salt and pepper. 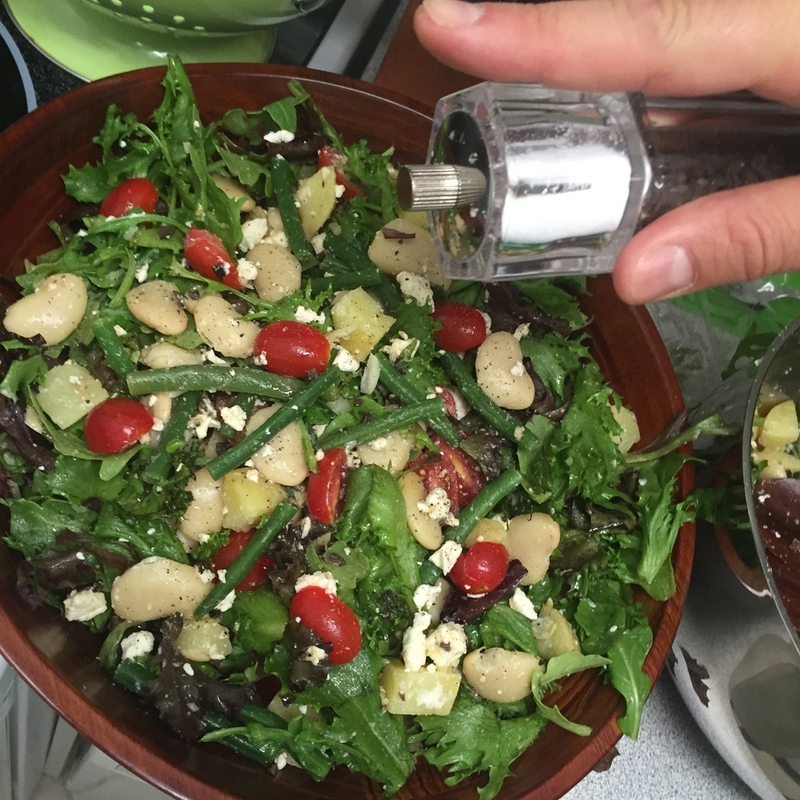 Toss the mixed greens, green beans, tomatoes, butter beans, potatoes and feta into the vinaigrette. Season with salt and pepper and garnish with the parsley leaves.